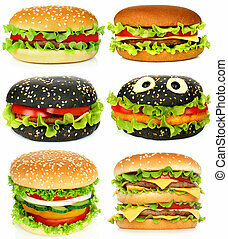 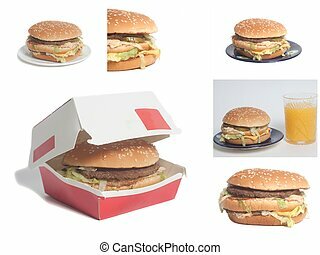 Big food collage. 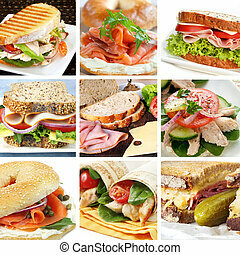 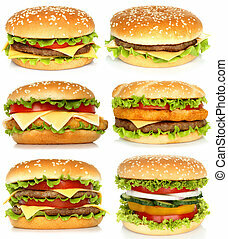 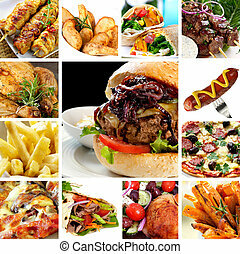 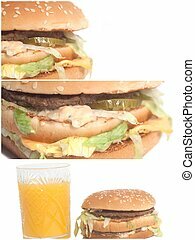 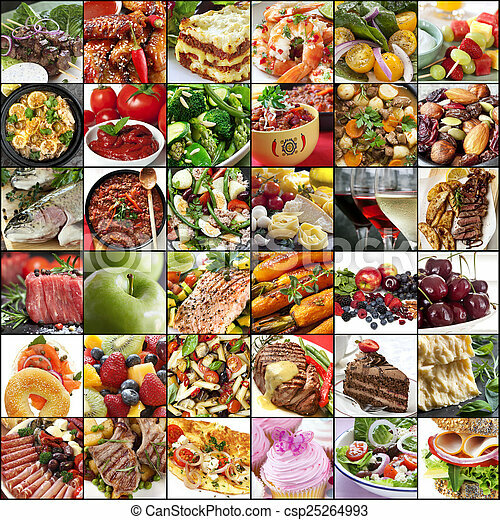 Big collage of food images. 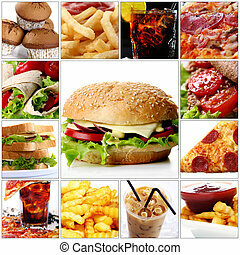 variety of meals, meat, fish, fruits, vegetables, dairy, salads, desserts. 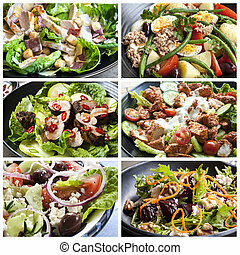 Salads food collage. 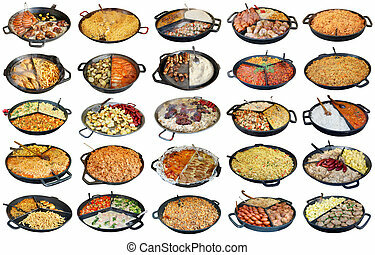 Includes Caesar, nicoisse, pork, chicken tandoori, Greek, and beetroot with walnut. 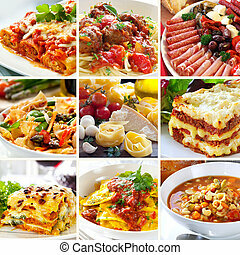 Collage of Italian meals and ingredients. 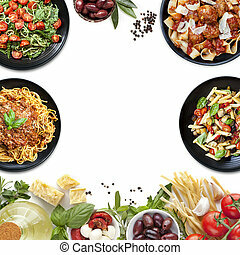 Italian food background, with copy space. 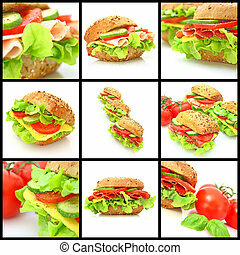 Cupcake collage. 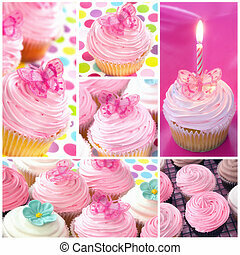 Montage of cupcake images, in pastel tones. 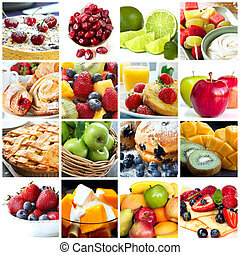 Collage of fruits and fruit desserts. 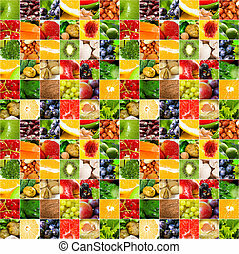 Delicious healthy eating. 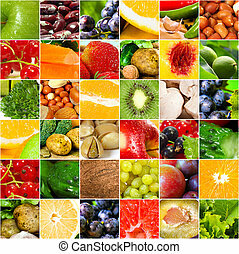 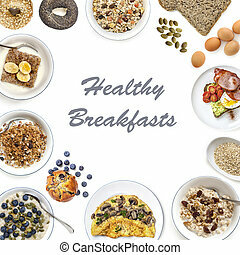 Collage of various healthy breakfast food, top view isolated on white, with copy space. 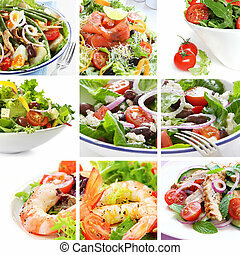 Collage of salads, including Nicoise, Greek, smoked salmon, prawn, chicken, and tomato. 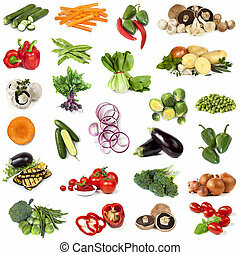 Collage of fresh herb images. 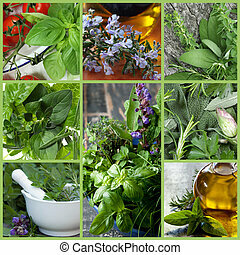 Includes basil, parsley, oregano, thyme, sage,and rosemary. 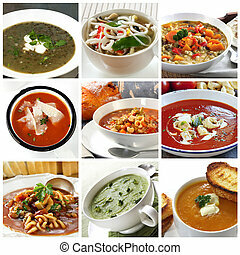 Collage of different soups. 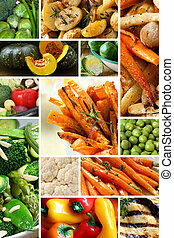 Includes lentil, Asian noodle, vegetable, tomato, minestrone, broccoli, and pumpkin. 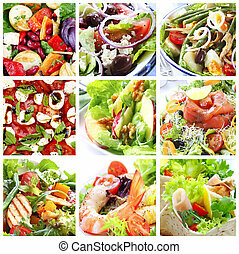 Collage of healthy salads. 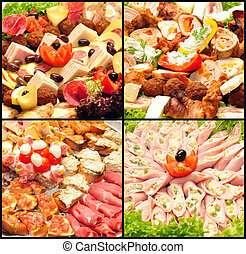 Includes caprese, Greek, Waldorf, shrimp, smoked salmon, Nicoise, chicken, and garden salads.